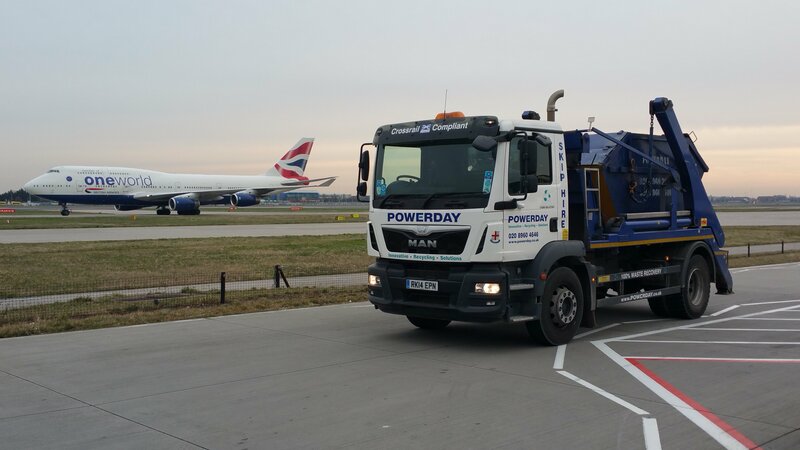 Powerday has been working at Heathrow since 2010, taking all waste away from direct contractors as well as all subcontractors including all construction waste arising at the airport, COSHH waste and waste from welfare facilities including cess and food. Recycling and recovering 100% of Heathrow’s construction waste, Powerday works to a 95% service delivery target and is required to exchange skips and bins within restricted timeframes, a demanding yet essential challenge given the security and operational restrictions at one of the UK’s most important assets. The company also provides a dedicated account manager, accurate recycling reporting, on and off site segregation, and day and night time collections in order to meet the sustainability and service level requirements of Heathrow. The latest contract was awarded in 2015 by the four Delivery Integrators responsible for the development and construction activities at Heathrow – Mace, Balfour Beatty, Morgan Sindall and Ferrovial Agroman, as well as major contractor Bam Nuttall currently working on the main tunnel refurbishment project.